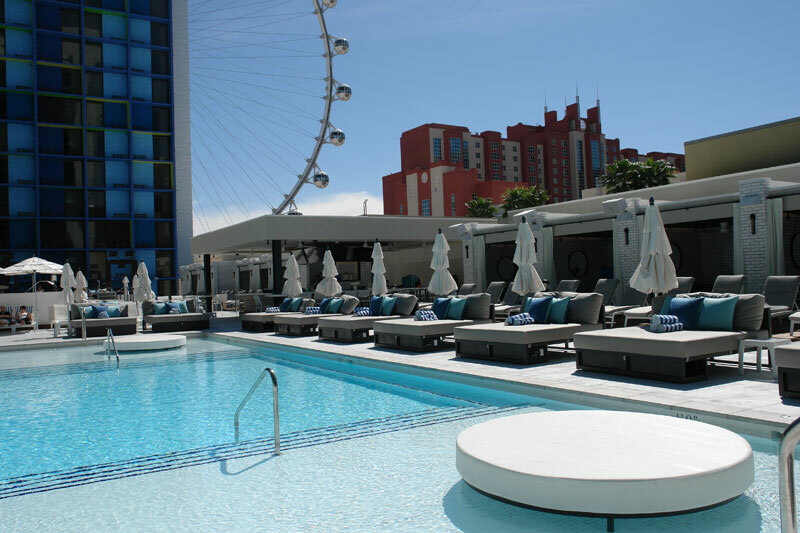 Somers Custom Furniture teamed up with James Gundy of 1027, to manufacture and install custom contemporary outdoor upholstered pieces for Influence, The Pool at The Linq. 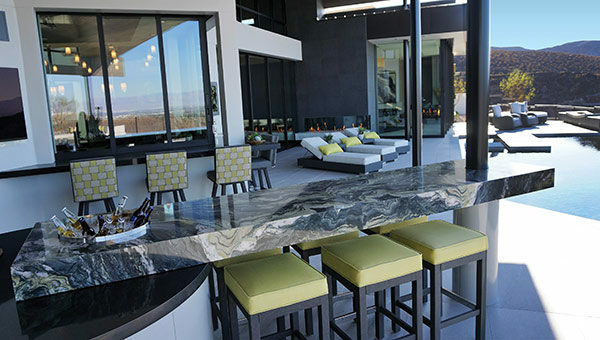 Custom daybeds sit on a prefabricated powder coated metal base in a dark graphite finish. Each daybed features a safe and storage space for personal belongings. Contrasting the dark base, plush mattresses and overstuffed back cushions accented with throw pillows offer guests optimum comfort. Lily Pads are scattered throughout the pool giving locals and visitors additional refreshing lounging options to cool off from the Las Vegas sun. Lily Pad floats in wet deck. Upholstered in white marine grade vinyl with a charcoal powder coated base. Custom queen size cushions and accent pillows all upholstered in an all-weather solution dyed acrylic atop a charcoal powder coated base.